Sigh. There is much to be written concerning the David and Goliath struggle between small fire departments and the evil anti volunteer syndicates (which is more like a fight between an ant and an elephant, the ant being the firefighters and . 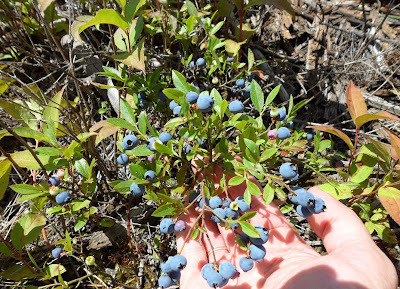 . . okay, I'm digressing), but I promised I would write about blueberries and log cabins. So here goes. We went blueberry picking a couple days ago. My son and his buddies are building a log cabin. Now can I write about the David and Goliath struggle? (just kidding). Everyone has their own idea of a vacation. For me it would be flying to a warm, beachy island and learning how to scuba dive. For a Tahitian scuba diver, coming to Upsala and picking blueberries might be a vacation. I seriously doubt it, but the concept has a weird, edge-of-the-universe logic to it. For me as an adolescent, blueberry picking was not fun. Hours in the scorching hot sun, combating pterodactyl-sized mosquitoes, and the threat of black bears lurking behind every tree. Yeah, fourteen year-olds tend to exaggerate, but you get the idea. Swimming and horseback riding were vacation to me in 1976. 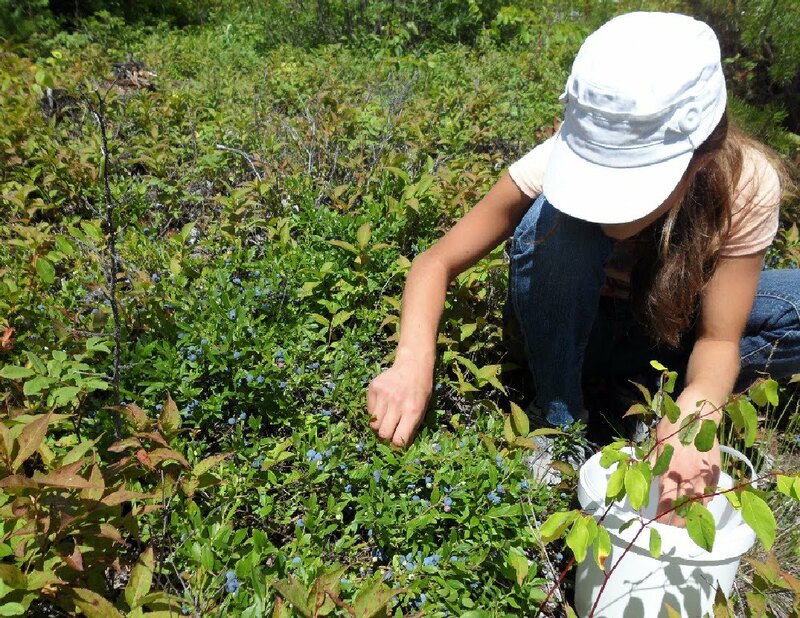 Blueberry picking was not. 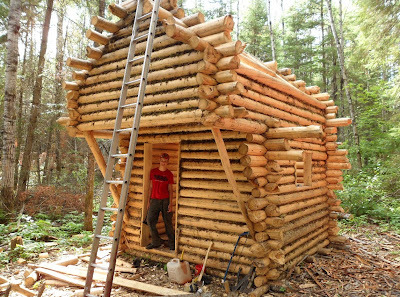 For Phillip, heading to the bush and working on his log cabin is a vacation. If that seems strange, consider the possibility that for a career log builder, pumping gas at the Shell might be . . . um, yeah. Okay that logic didn't work so well last time either. 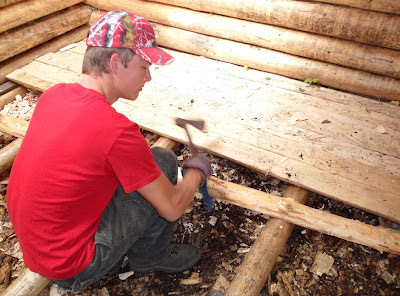 Yes, Phillip and his buddies like working on their cabin. But summer came, and with it summer jobs and responsibilities, and the cabin fell by the wayside. 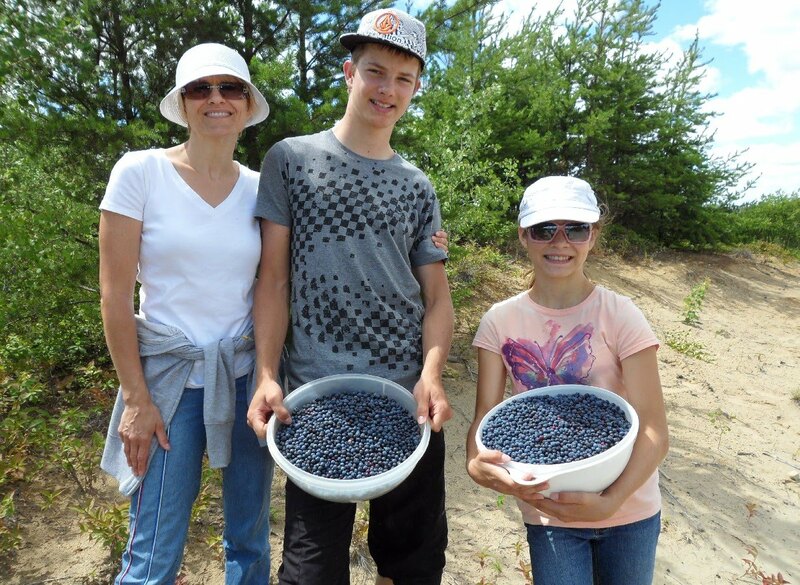 So after we went blueberry picking, we decided to spend a few hours helping Phillip on his cabin. Here is Phillip trimming a floor board. 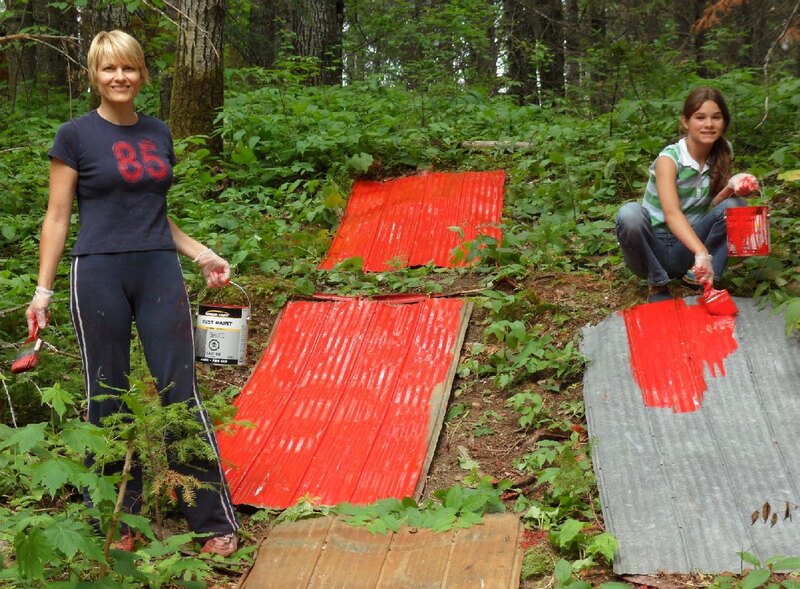 Erinn and Vanessa painting tin for the roof. Erinn and Vanessa pretending to be wild bushwhackers . 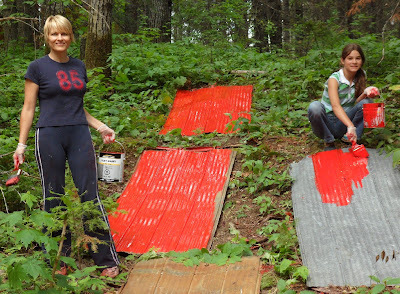 . . or perhaps the paint fumes got to them. Here's the partly finished cabin. 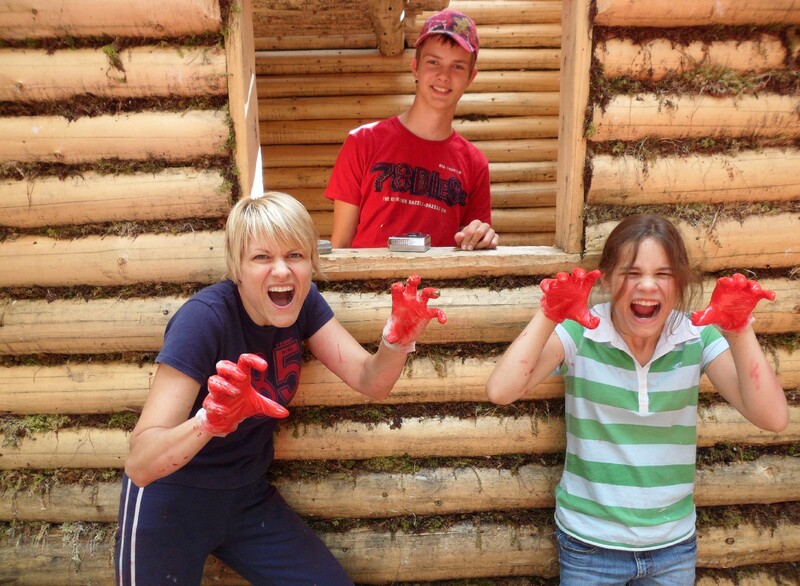 Philosophizing cabin building into a family vacation was a stretch, but we did have fun. And now, you evil anti volunteer syndicates, the time of reckoning has come.